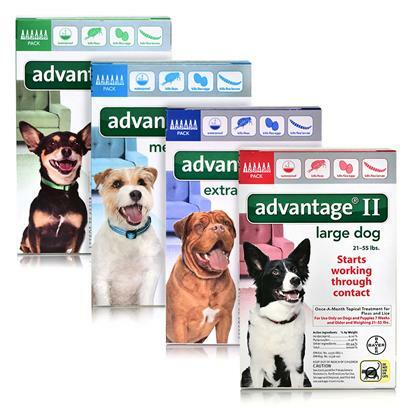 Dog Advantage Also Works for Cats - LOVE!! No fleas in my house! Why pay more for the exact same product? Great Product and you get it fast! Fleas are tough...but so is advantage. My dog and I are very satisfied! Go ahead a give 'em a bath. Easy ordering and quick free shipping. Advantage is the only way to go! Cheaper than the Vet - Best for your Pet!